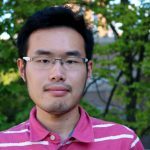 Yidong (Steven) Wang, a graduate student in the School of Journalism and Mass Communication, was awarded a travel grant for winter/spring of 2017-18. Wang is one ten University of Wisconsin-Madison students to be awarded this highly competitive award. The grant is given by the Holtz Center to graduate students who are completing research in the fields of science and technology. Students are given up to $1,000, which can be used for travel to research sites or for presenting papers at conferences. Wang will use the grant to travel to Hong Kong for two weeks and complete fieldwork that looks at the relationship between technology and social changes. His research revolves around the Hong Kong localist movement, a social movement that began in 2014, and how a digital media niche of alternative, political voices emerged in this period of time. Previous post: SJMC’s Young Mie Kim to Provide Expertise in Washington, D.C.